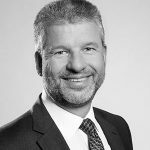 Thierry is Non-executive Director of Equatex AG and a partner at Altenburger Ltd legal + tax. 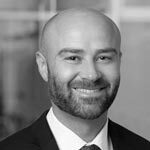 His practice focuses on corporate law, M&A, private equity as well as banking and finance. He amongst others worked for Baker & McKenzie, UBS and the Swiss Competition Commission. Thierry Thormann holds a Master’s in Law from the University of Bern and an LL.M from the University of Chicago. He is admitted to the Swiss Bar and Zurich Bar and is a recognized applicant at the SIX Swiss Exchange. 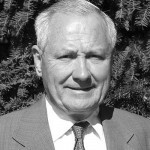 Born in 1952 in Belgium, Benoît Dumont attended Brussels University (ULB), where he earned a Commercial Engineering degree in 1974 and a postgraduate degree in Economics and Finance in 1984. He has been active in Financial Services since 1977 in Brussels, New York and Geneva and is currently Chairman of the Board and member of the Audit Committee of J.P. Morgan (Suisse) SA. He is also member of the Board of the Association of Foreign Banks in Switzerland. Steffen Herfurth is Group Regional Director of Computershare group’s issuer services businesses across Continental Europe. On 1 January 2017, he was appointed President of the Board of Directors of Computershare Switzerland. Until 2010 he was Managing Director of Computershare Germany. Before Steffen Herfurth joined Computershare, he was Managing Director at emagine GmbH, a subsidiary of GFT Technologies SE, where he was also responsible for corporate marketing and branding for the GFT group. As commercial director for Asia at Siemens, he gained international experience in telecommunications in Munich and Kuala Lumpur. Steffen Herfurth graduated in business economics at the Ludwig Maximilian University of Munich. Patrick is Finance Director of Computershare’s Employee Share Plan Administration business in the EMEA region. He has held a number of directorships within Computershare since joining in 2011, most recently as part of its Loan Servicing division. 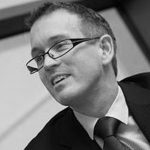 Previously Patrick worked for KPMG, BT Group and PwC, where he specialised in M&A. Patrick is a chartered accountant.